Assessment Updates will be posted on this web-site to: 1) Assess “pre-review” cigars that were not given a rating or score (typically pre-release cigars); 2) Provide numeric ratings to cigars previously assessed prior to the implementation of the numeric scoring system. Today, we assign numeric ratings to two previously assessed cigars- the E.P. Carrillo Edicion Inaugural 2009 and the Gurkha Royal Challenge. The E.P. 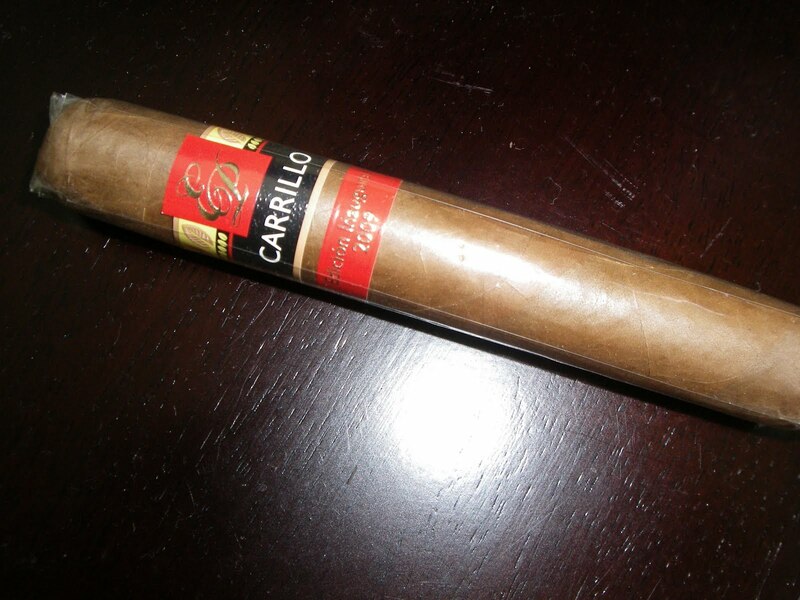 Carrillo Edicion Inaugural 2009 was the cigar that started it all for Ernesto Perez-Carrillo’s venture, E.P. Carrillo. Retailers started seeing Tthis cigar in the late 3009/early 2010 timeframe. It is sold in boxes of 10 and the word is that 15,000 boxes were produced. The Edicion Inaugural 2009 consists of an Ecuadorian Habano wrapper and a combination of Dominican and Nicaraguan tobaccos for the binder and filler. It was made in a single vitola, a larger robusto with specifications of 5 3/8 x 52. The flavor profile consists of a wonderful variety of flavors including butter, cream, grapefruit, chocolate, pepper, and cedar spice. The flavors are medium-bodied. This isn’t going to be a powerhouse cigar from a nicotine standpoint as it is mild to medium in terms of strength. The burn and draw are flawless on this cigar, making it well-constructed to go along with a solid flavor profile. Here is the original assessment of the E.P. Carrillo Edicion Inaugural 2009. The Gurkha Royal Challenge was one of three cigars released by Gurkha in 2011. These were the first three cigars of the Gary Hyams era at Gurkha Cigars. The Royal Challenge also stands out as this was a personal blend by Hyams himself. My first experience with the Gurkha Royal Challenge had some burn issues – particularly with the cigar burning on the hot side. Since then, the follow-up smokes did not have any of these types of issues, and has resulted in a solid burn each time. The Royal Challenge features an Ecuadorian Connecticut wrapper with a Honduran Habano binder and a combination of Nicaraguan and Dominican tobaccos for the filler. The flavor profile for this cigar consists of cedar/pepper spice, butter, cream, wood, and berry. The interesting thing is how this cigar actually delivers a spice blast out of the gate – unusual for an Ecuadorian Connecticut shade cigar. The flavor notes are not overpowering – more on the mild to medium-bodied side. The strength can also be classified as mild – typical for many Ecuadorian Connecticut cigars. Here is the original assessment of the Gurkha Royal Challenge in the toro vitola. This cigar has definitely improved with several months of aging.